I've been staking for a month now, and have only 3 transactions from staking and all of them are 'not accepted'. They are for small amounts. At this point in time with POW, there's not much benefit to staking. Even if you do get staking/mined transactions they may not get an 'Accepted' status, meaning that they're like orphaned transactions. So, happy to be proven wrong on this. Maybe for some DNR holders with thousands of DNR maybe they get a lot of value from staking, but in my own experience this hasn't been the case. Ok. That totally makes sense. Thank you for clearing that up. I'm mining with 2x GTX 1080ti atm and got 5 more coming in a few weeks. Can't wait to get properly going. 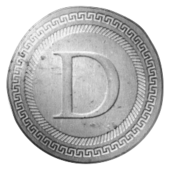 Denarius is awesome! every time I place the bootstrap.dat file in the denarius dir the app locks up and I have to close it, it does state its importing the blockchain but locks up. Maybe the wallet.dat is corrupted. might explain why it fails like that. Can you import your private key where the coins are into another wallet like coinomi if you wanted to do something with them. Maybe you should wipe the whole wallet install and start from scratch? Nice one. And good to know your experience on the forum in case other people have the same issue. It's a .conf file. it will be in the folder where sgminer.exe is. Go through this link that goes through step by step how to setup for mining and modifying the config file. I downloaded now the latest version of the Wallet - is not synced. tried on windows 7 and windows 10, 32bit and 64bit version. tried on different computers-without result. Found this thread, created the conf file, it works. Well, how is it? Wallet in development for six months, released v2.0.0.0, and the normal work "out of the box" no. I spent more than an hour, yet ran a sync. 1.Why this file should be created manually, and the installer could not create it during installation? 2.If you can't create, why won't the program throw out an error message with a reference to help or this forum? It doesn't happen that often, I would rather have programmer focus on more important issues, than adding an error message. I had my wallet not load and it was kind of nerve racking. maybe an error message for that so someone doesn't freak out thinking they lost all of there funds lol. It seems too a lot of the times something that sounds easy is not at all. All this is opened source though so you could try to do it yourself? You may be right, if it doesn't happen often. Although I installed three times on different computers, different versions of Windows-the negative result was 100%. United by one thing - the Windows are localized on Russian language, perhaps this is the reason. I have a lot of purses of different currencies, this was not . The most unpleasant thing is that there is no synchronization, the network browser in the wallet shows incoming traffic of 0 bytes, progress bar does not appear, but the program does not report errors, it stupidly does not work and everything. It's not right IMHO. P.S. : Wasn't there a bootstrap file? My wallte was synching... then I tried the bootstrap. There is a problem with the blockindex.dat in the bootstrap. I mining on pool hashbag and on mu adress i mined allmost 15 DNR but in mu wallet i received only 4.3 DNR. Wallet is synchronized.Where is mu DNR? NOTICE (March 6th 2018): During the weekend of 2nd-4th March, hashbag.cc forked to the incorrect DNR chain. After restoring the correct chain, many miners were overpaid significantly based on work they'd done during the fork. Unfortunately, this caused consistent errors in payments as the balances being paid were not available in the wallet, which flowed on to all payments since. After reconciling accounts, users were in significant negative balances (i.e. overpaid) which would have required several hours/days of mining to restore to zero and start earning payments again. As a result, all user history has been purged. All accounts should have been paid at fairly for what they mined whilst on the correct chain. Please forgive the disruption. We will be continuing our 0% fee mining whilst we ensure the payments are correctly processing over the next couple of weeks. I noticed an "Encrypt' menu option on the Wallet under the 'Settings' menu option. If I don't Encrypt the wallet, is the wallet vulnerable? Yes it is recommended to encrypt your wallet. You want to use a strong password that you will remember. There is no way to recover an encrypted wallet without the original password. This does secure your wallet, A LOT, as someone could get your wallet.dat and they would still have no access to your funds if the wallet.dat is encrypted. Does the wallet have to be unlocked to be able to do staking?? My wallet was synced and running fine yesterday, today it seems stuck and wont sync. Going backwards. Currently says 1934 blocks remaining but number is going up. I have tried rebooting, can't seem to get it. V 2.0, win 10. You could try installing the latest wallet 2.0.5.0. Also you can go to 'debug' menu option command line and type in 'repairwallet'. Then close the wallet and reopen and see if that helps. I had the problem you're having yesterday and the above seemed to fix it. There is also litemode now that you can enable on a QT wallet that will disable masternode features, you should see a performance increase.